Met with SAAC on Tuesday 2/29. We discussed CCPA and Strive events. We also talked about the Clearness Committee survey. SAAC members recently sent out emails to their representative teams urging athletes to participate in the survey. 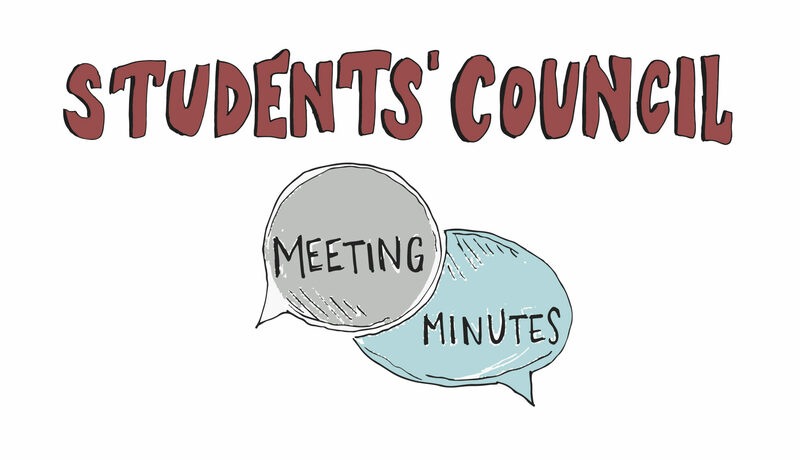 All students can find SAAC minute meetings here: https://www.haverfordathletics.com/information/saac/saacminutes, and we’ll be meeting at 9AM Tuesdays on a biweekly basis in the Dining Center for the rest of the semester. Honor Council’s Committee on Re-Evaluating the Honor Code reached out to me about possible times to meet. Wendy Smith was also contacted. We’ll be collaborating with this committee to follow up on how the (changes in the) Honor Code affects student athletes/teams/team dynamics/the like. Maurice: Let’s get started with committee reports. Does anyone want to give those who weren’t there an update about what we did at the retreat? Ethan: We had people reflect on their positions and what they would like to see done at Haverford. We also split up into committees based on projects we want to take on such as elections, plenary, and student council structure. Maurice: Do we want to start with committees? What you were supposed to bring to the meeting? Shayan: Rachel and I met with Talia, the new elections coordinator, to talk about issues and problems around the election process. We started writing the Plenary resolution–we have about 5-6 things we want to change at the moment. I’ll share the doc with you all when we have something concrete. We want to change the timeline, the language of the honor code, we want to make the software easier to use, and increase the length of nomination period. Alejandro is also helping us, he suggested allocating some funds for people to run. This would encourage people to actually campaign–encouraging people to be more engaged and potentially change the culture of apathy. Rachel: He suggested about $15/person and changing quorum from 50 to 33%. Maurice: I visited another campus and I learned that voter turnout is typically around 25%. Shayan: First, we are going to write in the resolution that these are temporary suggestions, and in the long term we want to implement more strategies to increase student engagement. Second, about the plurality percentage, we decided to keep it at 40%. Maurice: Resolutions are due next Sunday. Great that you all are working with Talia. Shayan: She is going to be working with us and presenting the resolution with us. Tina: Plenary Committee, comprised of Katie, Mariana, Devi, Jason, and I, figured out the logistics of planning the town hall and workshop during the retreat. We have figured out food, tech for plenary, and booked the conference room upstairs. Jason: I have a meeting with Roger for ITS livestreaming the week of Plenary. Ethan: We think implementing new things might not be the move for this one, since we want one to run smooth–maybe adding new elements is not the best idea right now. Andrew: I think there are some things we can consider implement such as a floating mic. We also talked about changing up the seating which may be too ambitious for this year, but important to keep looking towards. Katie G: Anymore thought to electronics policy changing? Andrew: We thought about that at the start of the year, it would be really nice — if no one was on the wifi, we could even have a live chat for everyone to chat on during Plenary that is projected. I think people would get upset if we completely took out electronics though. Ethan: I think even if people are there using electronics they are still paying attention and can still participate. Having people present is better than not. Jason: I agree with Ethan. I think headphones should not be allowed, but laptops should be fine. I don’t think banning will do any good. Tina: Our committee considered sending an email beforehand, but I don’t think there is a way to enforce any strict rule. We don’t want to come off as authoritative. Katie G: I also think it speaks to the culture of campus right now regarding student engagement. I think if we were to create this shift in culture and engagement, that wouldn’t have to be such a big concern because people would actually want to be engaged. Maurice: I think we confuse being in a space and being engaged in a space. What I am hearing is we would rather have people filling the space than active, engaged participants. I am on the side of no-laptops, if we want to change campus culture, you have to do the radical–if you are coming into this space there is an expectation that you are going to be fully listening/responding. It is a basic respect thing in my mind. Part of me thinks we put the statement out there and we run plenary with the people present. Shayan: I think we explicitly say we don’t want people to bring laptops but don’t make it a rule. Katie G: I think there could be something positive that would come out of making a statement. It could surprise us and we could have a good turnout. A strong statement needs to be made at this point. Jhoneidy: Is there any precedent for schoolwork at Plenary? I am sort of in the fence because I see benefits in both. I think with the no laptop statement, there is no way of keeping people who don’t really engage on campus on some sort of standard. I’m more on the no laptop proposition. Maurice: There was a time when people closed certain facilities on campus. Campus jobs weren’t running, library computer labs were closed. We aren’t saying to close the coop, but for this year, it seems that given we have only three resolutions it will be about an hour max. What does it mean that we can’t listen to each other? Many times, people are not listening. On the other hand, I think that there are accessibility issues in banning laptops. Jacob: Why not close other spaces on campus then? If we say, you can’t bring your laptop in, people may go somewhere else. But if they don’t have anywhere to go, then maybe we should. If it says you can’t bring in your laptop then you can’t bring in your backpack? If our ultimate goal is to have as many people in the room, then we should take all of those steps to make that happen. I don’t think the atmosphere should be any different than it is in a classroom. For me, Plenary is a part of the educational experience at Haverford and we have to brand it that way. This is an opportunity for us to take a necessary, radical step. You can afford to not do work for an hour on a Sunday, once a semester. Plan around it, it’s not that hard. If you have trouble planning around stuff, we have resources here to help you with that. I think we should ban laptops and more. Shayan: I like your ideas and I think that would be great, but my concern is that our main challenge is to make people willing to engage–not just make them attend. They should be willing to engage and I’m not sure if implementing this will help seem favorable in the eyes of the student body. Right now, the student body doesn’t look particularly well on Students Council and I don’t think this will help if we give a mandate. Sydney: I feel like for a lot of people, the doing work thing comes from a lack of engagement and the structure of the space–long pauses, not a good flow. I think that if plenary flowed better, it would make a huge difference. If we have a clear goal, clear purpose, I think people can get behind that. Andrew: I think we should hold people to a higher standard. People show up to WeSpeak and SpeakOut, regardless of how long it takes. Clearly, people on this campus are capable. If we were to frame this as a community guideline and not as a rule, I think we would be pleasantly surprised. Katie G: I also think this whole year we have been thinking about reforming Plenary and thinking about what is plenary. By creating this community guideline and this expectation, it would reshape students’ understanding of what Plenary is and why we have it. Right now, it is a place people go to because they have to and they go in knowing they will work on homework. This is a good step towards the conversation of why we have plenary, what it is, why we are here. Maurice: I think Andrew has a good point, you wouldn’t go to WeSpeak or Speak Out and do homework. I don’t think there a lot of negative perspectives on council as to what Shayan said. I agree with Jacob and I think we should keep pushing the needle. We can’t cancel campus jobs unless folks are paid. I don’t think we have enough time between now and then for that. When Plenary Committee sends out that email I think including this as a community guideline is a good idea. Ethan: I am opposed to this idea. I don’t see change happening that way. The idea that Lax bros can be exposed to people they have never interacted with is valuable. There is valuable in having people present, regardless of them being on their laptop. Rachel: I think that if we implemented this no laptop rule, I think the 66% is unattainable. They aren’t going to show up. If we implement this year, right now. Maurice: Is that a bad thing? Rachel: Then we don’t get quorum? Tina: The sophomore and first year class have never had a normal plenary. Is it worth going into that all over again? Maurice: Well, the normal plenary was not working in the first place. Jhoneidy: I think it’s also telling that we don’t believe in the potential of this community to change. To your point on lax bros, Ethan, my first year we did the We Aren’t Here To Say Thank You Campaign and there was the entire lacrosse team there. They came there to be intentional to understand what it means to be a low-income student on this campus. Plenary as we have normalized it is unacceptable. We have seen this campus is willing to engage when there is something that needs to be said (ie: WeSpeak, Speak Out), and yet something like Plenary, foundational to Haverford’s ethos, isn’t taken as seriously. We talk alot about not being enough diffusion of responsibility on this campus, and that’s because we feel like we can make actual impact. My growth from freshman to senior year has come through these aspects of campus that I have engaged with. I think this is going to be unpopular, but it’s that radical first step that we need to take. Maurice: Furthermore, I think more people will be there because this is the Plenary where we discuss the Honor Code. I would rather have no Plenary at all than a crappy one where people are partly listening or not listening at all. We are missing some critical voices so let’s table the discussion for now. Ethan: I have a question–do people think it is an idea/option to reach out to sports coaches, going in to the fitness center, and talking directly with the coach/team about mentioning how important it is to attend Plenary? I think this could be another measure to encourage participation. Maurice: The coaches were pretty involved in setting the team culture related to what Jhoneidy was saying for We’re Not Here To Say Thank You. Jhoneidy: I think us as a governing body just reaching out to sports teams and not affinity groups is not egalitarian. So we should do both to be more egalitarian. Maurice: Yeah it’s on them too, there are plenty of folks of color who also didn’t go to Plenary. Sydney: we are considering expanding the first year reps to three. We would like to discuss that idea with you all. I think Julia and Saumya had talked about restructuring council. I guess I want to get a gauge to see how people feel about this idea before we begin writing the resolution. The idea is expanding the first-year position to three people. Maurice: Something we are talking about is reducing the treasury position to one person and Alejandro is discussing this with SLO. There is a way other positions could be combined, so expanding this might not mean more people. Shayan: I am supportive of this idea. Jacob: I have similar ideas about consolidating council. I think its a good idea to have more than one first-year rep. The issue of institutional memory is important. I plan on running again, but I may not be elected. For continuity, I think we need to consider institutional memory. Sydney: One of my concerns is that it is already such an unstructured position, so adding two more unstructured positions with people who don’t feel like they know their role on council is of concern. Andrew: Going off of that, there is one class rep per year, the first year class get larger over time. Is it realistic to have one person represent 300 people? We could increase reps per class, or decide the rep position is antiquated for where we are right now. Maurice: Unstructured, yes potentially. Some of that is on us at the top to create projects and facilitate people.I see it as a leadership development position. For example, 2019 Julia Blake, 2020 Leslie Luqueño, 2021 Noorie Chowdhury, these people all went on to do more things. It seems to be a space that implicates leadership. We want that to say in Council. Even within the unstructuredness, there is something you are learning that sets you up for success in your Haverford career. Jacob: I hope to leave behind a bit of structure in my description. I think that there is value in being unstructured. It’s important that the first year rep is available to 1) balance how you soak up and retain information and 2) making yourself available to do what is going on. That was the hardest part for me. If I had started with all of you, I would have felt like I would have been more on the same page, but unfortunately I came in when you all had already started. Shayan: In terms of unstructured nature of position, one of the things we discussed at retreat is having those reps roles on committees on campus to help give them some more structure. It is definitely something to take into consideration, there are a lot of advantages to having more than one person. Maurice: I think that is a really good idea, and you learn about the shared governance structure by doing committee work. Email us the draft tonight and we can add on. Who all has completed their transition docs? Katie G: We have one more thing about the SC librarian. That was our second action item. This would allow for institutional memory. We talked briefly with Julia about undergoing a trial period. We’re open to hearing other people’s thoughts. Jason: The the idea of having the librarian, I don’t know about having more first year reps. With the help of FYDC as well–if first year doesn’t get re-elected we still have librarian and FYDC to carry on knowledge. Mariana: I think a potential role the librarian can have is to keep track of the people we appoint to committees. We have new appointees every week but there is no feedback loop about what they are discussing. This can provide a mechanism to inform us more about what all these committees are doing. So there wouldn’t be a million different people having the same conversations. Jacob: The FYDC is different every year. The only mechanism would be a sort of online document. Shayan: Sydney and I have been working with Mike to find a new way to keep track of people we select and how those people are doing. Hopefully that will be something that we don’t have to worry about. There is a lot of overlap between Co-secretaries and librarian, so maybe the Co-Secs can take that position? Katie: From our conversations with Lourdes, it seems like the librarian position is very important in terms of carrying a ton of institutional memory. As a Council, we don’t have that right now. So creating this position would force us to look into archives, to look into the history of council, and have a point person whose entire job is to uncover all of this. I think that should be its own role just like in Honor Council, because the Co-Secs role does the minutes, the Weekly Consensus, and a few of their own initiatives. One person should be responsible for looking into this as their role. Sydney: I don’t think it needs to be lifetime. Shayan: One idea that we have is assigning this task to one of the new first year rep. That would help us reduce the number of people on council. Tina: I think reaching out to the incoming first years sooner would be a good idea, maybe through the class page or email. The election could happen during Customs, maybe arranging some sort of debate to happen during Customs would be a good idea! Katie: one more thing–If we were to do more than one, would they run as a pair? Jacob: I am trying to encourage more FYDC with SC. I have told them all to come to meetings. I would love to do a meeting where they purposefully come to a meeting and we have a discussion if we have time. Katie: We met with Lourdes last week and we spoke about collaborating with HC on the Town Hall and the How-to Plenary Workshop. She reached out to her Exec Board a few times but it sounds like none of them can make it. So unfortunately, we wanted to collaborate with HC, but it looks like we won’t have any of their reps available to speak. Can we get a final head count for who can make it to speak? Mariana: In terms of reaching out to other members of community, should we reach out for others to be on the panel? Maurice: It’s a Town Hall so it should be an open discussion. What about reaching out to affinity groups? Katie: We already reached out to the affinity groups Co-Heads and made facebook pages. Katie: Definitely we will do that. Maurice: If you saw the treasurer’s email, the president’s office was not too happy about the section about the bathrooms. We heard from Kim and essentially he said that they have found the money and no longer need $24,000 from us. Andrew: Honor Council reached out to us to ask about moving Plenary. Now, we have sent texts, emails, groupmes, trying to communicate with them. Communication has been somewhat poor. Maurice: We are not moving the date of Plenary. Andrew: We let them know in a lengthy email a few days ago, we still haven’t heard back. The date is staying the same. You might see more collaboration between HC and SC in the coming semester. Maurice: As long as they get back to us. Andrew: Keep an eye on that. Maurice: From my understanding, SC doesn’t collaborate with HC in setting the Plenary date. I just want you all to know you are doing a great job. We have always been open to collaboration with HC. We wanted to do the ice cream social during Customs with them, but..
Andrew: Comments? Thoughts? We will see you all next week.